Love is in the air for our February 2016 cartoon caption contest. I doubt anyone will fall for "Heart-Healthy Smog." Thank you for everyone who entered a caption! 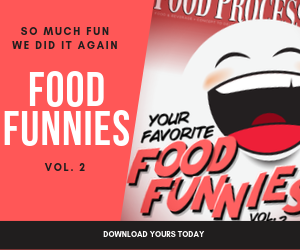 Thaw out your funny bone with your monthly dose of food processing humor.